Oh yes. It’s been a while since our friend Fernando has been on the top step of anything, but the birthday boy is thoroughly deserving of Top Dog honours this weekend. We all know Nando’s no chicken. Give him a car that’s capable of a top ten starting position (tick), entice him with a sniff of some points (tick) and he’ll wring its scrawny little neck (double tick). 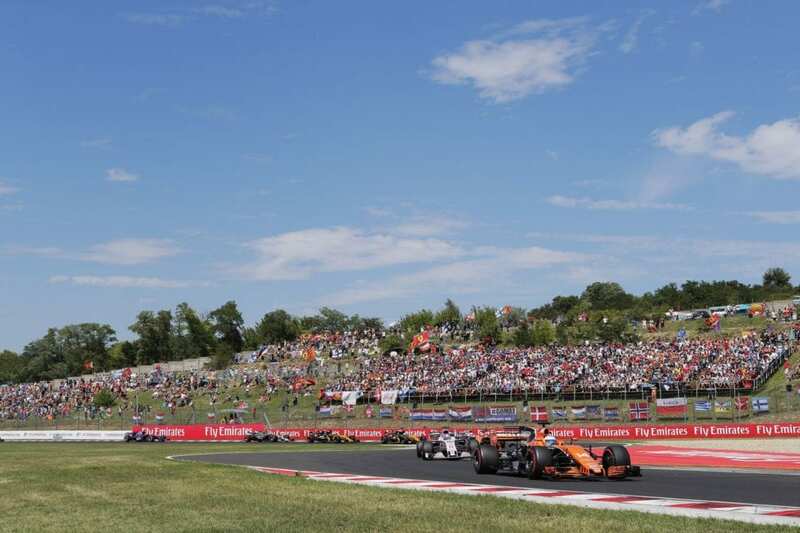 The team was quietly confident the twisty-turny nature of the Hungaroring would offer up a more level playing field for the notoriously underpowered McLaren-Honda. And so it proved. 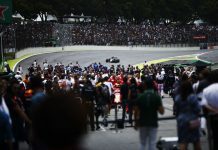 Both drivers made it into Q3 making it the team’s best qualifying result of the year. 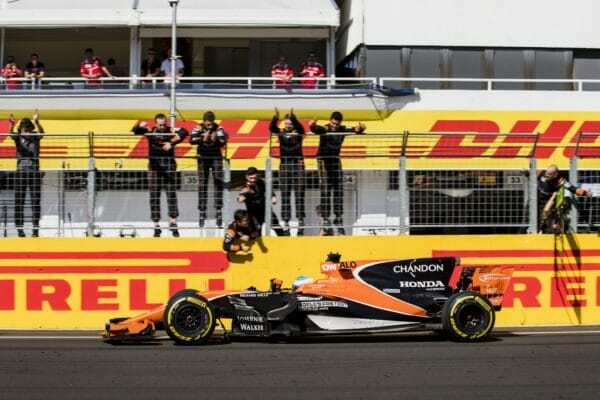 Stoffel Vandoorne finally got off the blocks, earning his first point of 2017 while Fernando’s 6th place was his highest finish this season. While the big boys up front were barging teammates off the circuit, struggling with skew-whiff steering wheels or playing silly beggars with team orders, Alonso was calmly getting on with the job. No mean feat when that Honda engine is renowned for going kaput early doors. No such problems in Hungary, giving Fernando a rare chance to remind us of his sublime racing talent. There was some particularly tasty matador-style battling with fellow countryman Carlos Sainz – even in the pitlane! Sainz is no slouch when it comes to hard charging. The young Spaniard ran Alonso wide at Turn 1 early in the race, which could easily have ended in tears. But our canny canine knows exactly when to pounce. He bided his time, reeled Sainz in and kept the pressure on before showing his young friend how to execute the perfect pass. Put the frighteners on at Turn 1. Stay glued to your opponent’s wheel for as long as you dare. Run wide off track? No drama. Duck back in behind, make him think it’s safe to breathe then nab him round the outside of Turn 2. P6 in the bag. Muchas gracias. Alonso earns extra Badger points for bagging fastest lap of the race. With a Honda engine. Unbelievable. And as Badger is feeling generous, extra, extra points were awarded for Fernando’s slapstick comedy routine in parc ferme. We all love a man who can laugh at himself. 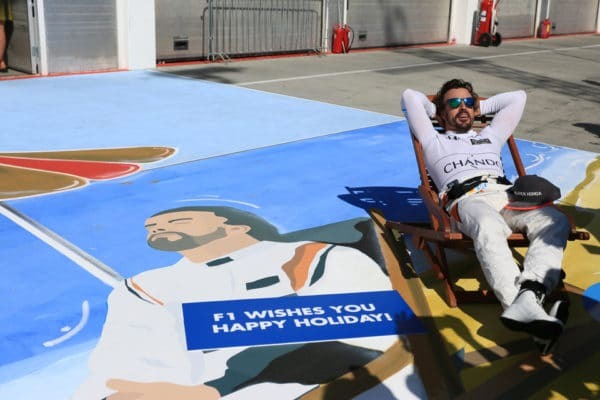 Alonso’s self-parody of his now famous ‘deck chair’ meme injected some hearty chuckles and really for the de-mob party started. Some say such behaviour is beneath someone of Alonso’s standing in F1 world. I would argue it demonstrates an astute awareness of how to engage with fans and promote the sport beyond the reaches of the current fan base. 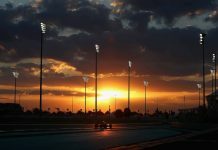 But it’s how Fernando performed on the track that stands out and keeps him in with a fighting chance of one last competitive drive before he finally hangs up his boots. Well done, Senor on your Top Dog prize. Our drivers are off the leash for the summer holidays. Lots more Top Dog fun to come when the season resumes in a month’s time. Join Badger GP for all the action at Spa over the August Bank Holiday weekend. Happy Holidays!